Welcome to the 2015 Games Round-up Masterpost. This article will point you to articles you loved, the ones you should have read, and everything in-between. Our very own Brenda Noiseux kept us up-to-date with her weekly “Get Your Game on Wednesday” series. This was the year we lost gaming giant Satoru Iwata. Polygon came out with “The 20 biggest video game news stories of 2015” which included topics ranging from China lifting the ban on video game consoles to the harassment from Gamergate. They’ve also published a list of “The best video game women of 2015.” Our own reporters covered more than just AAA gaming, with Rachel Stevens reporting “Magic: The Gathering Introduces A Transgender Woman To Their Fiction” and Claire Napier wrote about the unacceptable Metal Gear Solid trailers. What games best exemplify what it means to be a woman? The staff discussed this early this year. This was also our first gaming roundtable! Our staff really likes each other and we really like nerding out together. We also enjoy sharing games with our children and gaming for sick kids. Our team loves love (or at least pixelated romance), and we write about it often. Wendy Browne wrote a tribute to “All the Pixels [She’s] Loved Before” and Ginnis Tonik reviewed Rescue Riverdale, in which all of Archiedom can be queer, while Cathryn Sinjin-Starr and Wendy Browne wrote about otome, dating simulators. We also talked about our gaming shames, with Jules Low opening up about their own “shames.” Gamers all have to start somewhere though, as we saw in our successful new series “My First Game.” Anna Tschetter told us about losing patience with board games and sometimes we were ashamed of games, like Claire Napier’s condemning piece on Mortal Kombat. Some of us even got out into the real world, like when Sarah Richardson tried gaming improv or during her regular tabletop sessions. Jo Fu made a game and told us how! Our summer was spent talking about Barbies, and Paige Sammartino made our own History of Barbie infographic. Zoe Gray applauded the diversity in the Walking Dead game, and Megan Purdy waited around for some phone games. Tales of Zestiria stars Sorey, a human explorer who grew up in a Seraph village after being taken in by its leader as a baby. Unlike most humans, Sorey can see Seraphim, and he is fiercely protective of his adoptive family, the literal village it took to raise him. He, his best friend Mikleo, and a mysterious girl they rescue from nearby ruins, Alisha, must fight off a Hellion attack on the village. To protect his home, Sorey makes a pact with a fire-powered Seraphim who names him a “Shepherd” of peace and lends him her strength to that end. Sorey and his friends journey to purify the Hellions and cure the evil that spreads across their country like a plague. 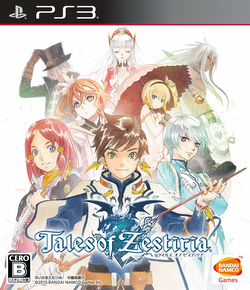 Zestiria follows in the long tradition of intricate character designs, top-notch game design and animation, and beautiful scoring that the Tales series has boasted for years. The battle system has a cool upgrade from previous games in which encounters take place on the map instead of a separate screen, so elements like the terrain can affect the course of the battle. Sorey is a classic altruistic leader/savior but is a history buff as well, narrowly avoiding the idiot hero trope. His interactions with his Tales trademark found family cover everything from heartwarming to heartbreak. In particular, his lifelong relationship with Mikleo ranks among the most well-developed in the franchise, from their mutual geeking out over ruins to their unquestioned loyalty to one another in the game’s darkest moments. SOMA is probably the most ambitious game I played this year. Not in terms of graphics or mechanics, both of which are fairly pedestrian and echo the studio’s earlier work on Amnesia: the Dark Descent, but in terms of the ideas it wants to play with and the space it gives them to breathe. Unlike so many games, which string out one mystery long beyond the point at which it ceases to be mysterious, SOMA throws concept after concept at you, confirming your suspicions just at the point you were beginning to have them, and then giving you something new to think about. Of all the big studio games I played this year, SOMA was by far the most respectful of its players. It trusts you to follow along with the big, meaty concepts of self and identity it wants to play with, and instead of over-explaining them, it lets its characters react to them, revealing something of their own personality as they do. It has one of my favourite characters in a videogame for a long time, the marvellously callous scientist Catherine. She’s not an evil person – she truly wants the best for humanity – but her consideration for individuals is almost non-existent, and her acceptance of the various technologies at her disposal makes her indifferent to the suffering of others. She’s someone willing to leave humans to die trapped in robot bodies, or suffer a form of eternal half-life at the hands of a truly inhuman AI, just because she knows there’s a scan of their mind sitting in a computer somewhere. For her, that’s enough. What SOMA does so well is to make her genuinely likeable. She’s thoughtful, a great conversationalist, and in her own way, very compassionate, though it’s not a kind of compassion that resonates strongly with the protagonist, Simon. People have critiqued Simon for being bland, and it’s a little true, but I honestly quite liked him. Though his confusion about his circumstances can get a little wearing, he does a good job of demonstrating how frightening and discomforting the actions you take in the game really are. And his desire for normality creates some of the best existential horror in the game. SOMA describes itself as survival horror, and it does have monsters in corridors that you have to avoid, but honestly they’re not really the interesting part of the game. SOMA has been fairly critiqued by reviewers for not being very scary, which I think is fair, but the hits that it does land come from scenes of characters talking, not from jump-scare monsters, and I love that. 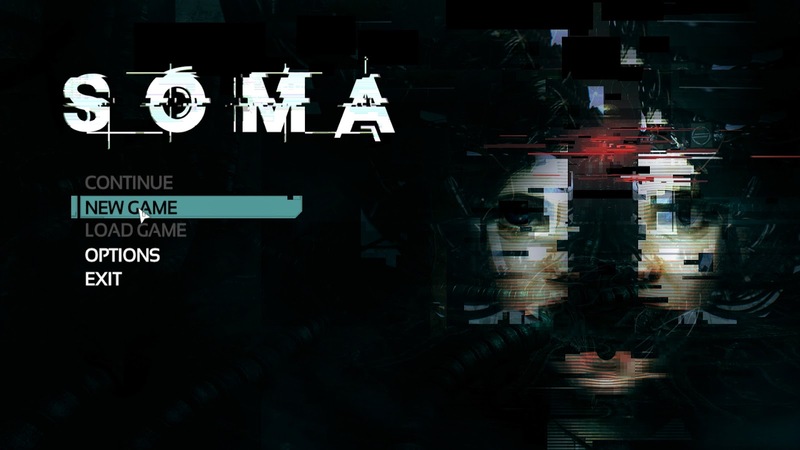 It’s definitely not a game without flaws, but it made me think more than any other game I played this year, and I really want to see more games that are willing to be as ambitious and defiantly intellectual as SOMA. From heavy philosophy to poetry. Fragile Soft Machines is a short game that feels and reads like a poem, in everything from its soft colours to its sweet music. It creates a space for emotion, a moment of breath in which reflection becomes possible. You explore the world through the body of a butterfly with a torn wing, unable to fly. Forced to walk and climb, you must build a garden towards the sky, a space that allows you to understand yourself. At various points in the game you are presented with text, and asked to input answers to questions, or given options and asked to make a choice. At the end of the game, your choices are retold to you as a narrative. It’s a game that is as much meditation as play. The answers you give can and will change each time you play, depending on your mood and instincts. In that sense it’s a useful tool for self-examination. The replay of your words and choices, like the patterns presented in a horoscope or a tarot reading, give you a chance to interpret yourself, and thus to think about how you feel at a given moment. I think this kind of engagement with the self through the mirror of a game is one of the most underutilized possibilities in gaming. 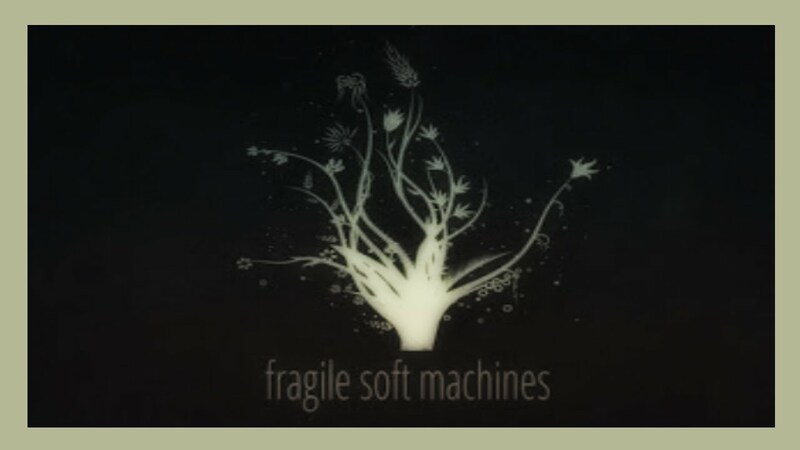 Other games, like the popular Undertale or The Dusty Dead, which I reviewed earlier this year, also allow the player to consider the kind of person they are and the kind of choices they make, but I love Fragile Soft Machines for the delicate simplicity with which it handles the topic. Like a poem, this game is a scaffold for emotion, stripped down to the minimum possible components of experience. And in that bare delicacy lies its great beauty. RPGs are getting very repetitive — and this is coming from someone who has loved them since she was able to read. Undertale is the first RPG I’ve seen to really take the tropes of the genre and say something about us as players and as compassionate human beings. In Undertale, the protagonist wakes up in a bed of flowers after having fallen from atop a mountain. The first character to welcome the player to the game is a seemingly unassuming flower. However, the flower insists to the player that “In this world, it’s kill or be killed.” This is pretty standard for any kind of video game using combat as a mechanic, but it’s especially common in role-playing games where a hero sets out on a quest and must fight monsters to become stronger and protect the world. 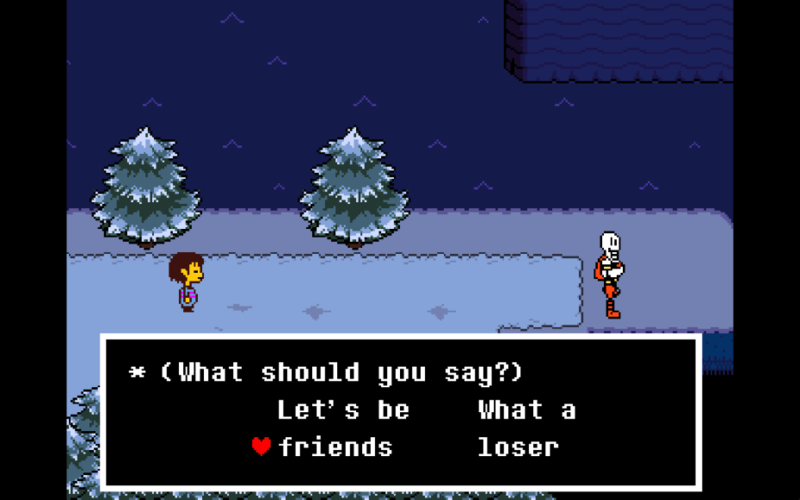 In Undertale, you do not need to use violence to win. After all, you are the human in a world of monsters that are terrified of humans. You’re the invader here. Every encounter with a monster allows the player to fight or to act. Actions include talking, giving compliments, laughing at jokes, and so on. The game encourages niceness, and the monsters attacking you don’t seem to realize that their actions cause you injury. By choosing the right action, they will stop attacking, and you can spare them. Getting into why Undertale is such a success leads to several big spoilers of the plot, which really comes into its own near the end. Regardless, I can say the characters are a bundle of hilarity and joy, so properly developed to be different from one another. There are nonbinary characters, such as the ghost Napstablook, and I personally believe the player character is nonbinary as well. There are wonderful female characters: the scientist and anime-loving nerd Alphys, the hero Undyne, and Toriel, the character who more than anything wants you to remain safe. Undertale was developed and published by Toby Fox, who also made the music for the game. More than anything in the game, this has to be my most loved part. The music is catchy, emotional when the scene requires it, and inspirational. Things are paced well, and there are even leitmotifs you won’t be aware of until you finish the game’s “pacifist route,” or what’s considered the true ending or preferred ending. Of course, the game’s not perfect. On a first playthrough, options available to the player are not made clearly apparent. For example, during the game’s first “boss battle,” sparing the opponent does nothing. Some beginning players have assumed this means the only course of action to take is fighting; however, in this case and several others, the player has to do a certain action repeatedly. At certain points, new dialogue appears and is a good indicator that the player is making a difference. However, when an opponent’s behavior doesn’t change after two tries of a specific action, you can’t fault a player for then ruling that option out. Undertale also relies on color puzzles for many different sequences in and out of fights. You’re allowed to walk through certain colors, but other colors require you to stand still. Along with violently flashing colors at times, I can’t recommend this game to people who are colorblind or are photosensitive. Fortunately, it appears Toby Fox is working on making the game more accessible. Undertale will fill you with determination! I hate shooters. I can’t aim well, I hate the toxic masculinity that comes with online versus multiplayer games, and I hate talking to strangers playing those games because it is all too possible I’ll have to deal with their sexism. Enter Nintendo’s Splatoon! It’s just as fast-paced as many of those games I hate, but everything is themed differently. Instead of hardened military soldiers or such, everyone is an Inkling — some sort of squid/human child. There aren’t “kills;” there are “splats.” There’s no voice chat; you will never have to talk to or hear from strangers you’re playing with or against. I have a feeling Nintendo did this because it likes to moderate any kind of communication between players because it wants its games to be family-friendly, but regardless I and many other women consider the lack of voice chat to be a huge point in favor of the game. 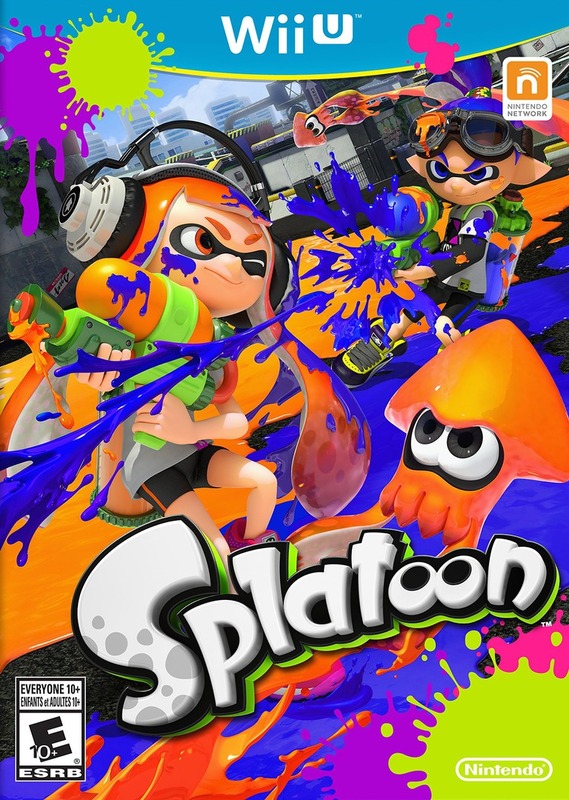 Splatoon is also a fairly accessible game. The gyroscope of the GamePad makes aiming easier than only using the sticks, and there are multiple weapon types. If you struggle to aim, you can use weapons with little range, such as the roller. In normal Turf Mode, splatting opponents isn’t even the goal. You could snipe off your opponents all day, but if your team doesn’t ink the ground in their color, you won’t win. This means players who don’t like to be involved in combat can have a fun time hanging back from the other team and just ink the ground. Splatoon also has a ranked mode where splat counts are much, much higher in all of the chaos. My favorite part of the game is the fashion. Players can buy shirts, hats, and shoes with the money they earn from playing in matches. Each piece of equipment has abilities, such as increasing defense or decreasing the amount of ink your sub-weapon consumes, but more than that … there are some really cute clothes in Splatoon! I always make sure to look stylish when competing. Stay fresh. For the uninitiated, We Know The Devil is a visual novel, a story with branching paths that the player manipulates towards their desired ending. The most commonly known form of visual novel to western eyes and ears is the dating sim, where the goal is for the player’s viewpoint character to start a relationship with the romantic partner they find most appealing. A variation of this without a viewpoint character tasks the player with manipulating events to get the pair they want to date to hook up. WKTD is a dark subversion of the latter. The story takes place in a conservative religious summer camp for delinquent children intended to train them into something like magical girls with each of the campers carrying radios that allow them to tune into frequencies broadcast by God and the Devil. 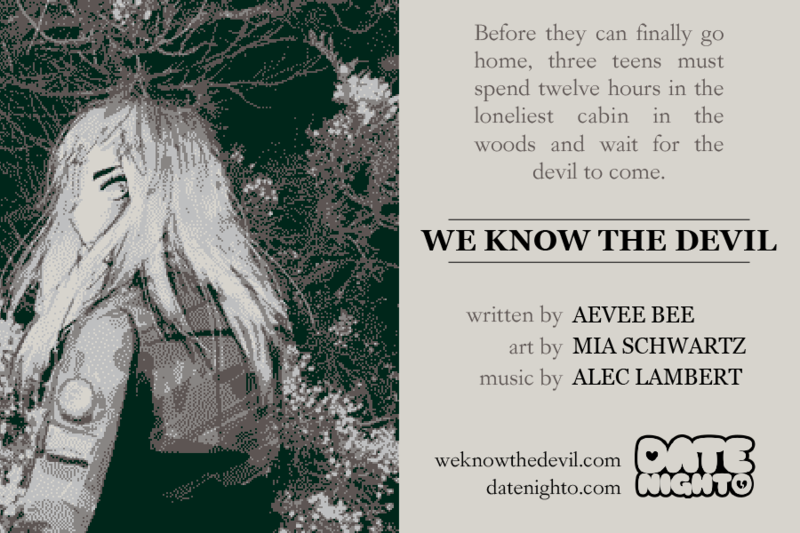 The game follows Team West, a group of three campers named Neptune, Jupiter, and Venus as they spend the night in a cabin where the Devil is said to frequently appear. Where the visual novel mechanics come into play is that once every chapter, broken up by hour from 7:00 PM to 5:00AM the next morning, the player is asked to pick a pair from the three characters to focus their interactions on. The twist is that the three standard endings of the game are determined by who gets left out the most, and that person has to face the Devil at the end of the night. There’s a lot to love about WKTD and how you have to play through all the configurations and uncover the fourth ending to fully grasp the characters and the world around them, but the fundamental appeal of the game is that it presents an inherently queer viewpoint, using the othering, shame, and self doubt that queer youth in conservative environments are subjected to as the starting point in building a decidedly Gnostic world. The worldbuilding and storytelling of WKTD convey the powerful message of what it looks like when a transgender writer like Avee Bee is able to deliver her own viewpoint when the vast majority of media that includes transgender characters, or even centers them, are written exclusively by cisgender people, and more often than not, for the education of a cisgender audience. WKTD is an experience that is certainly open to anyone, but there’s an intimacy with the world and characters it presents that would be almost impossible for anyone who hasn’t struggled with gender dysphoria to achieve. What game releases are you looking forward to in 2016? Paige Sammartino: Ace Attorney 6, Persona 5, Digimon Story: Cyber Sleuth, and Pokémon GO. I’m also pretty nostalgic over the reboots for Pokémon RBY and Dragon Quest VIII. Carly Smith: Tacoma, Legend of Zelda Wii U, Persona 5, Mass Effect: Andromeda, Mirror’s Edge: Catalyst, Dishonored 2, Star Fox Zero. I’m sure there are more, and these are mostly big games coming from big publishers. I’ll be keeping my eye out for more indie titles. Cathryn Sinjin-Starr: I think there’s a rise of alternative-setting MOBAs and Multiplayer FPS. Rather than just relegated to historical/realistic shooters, we’re seeing a lot more SciFi and Fantasy settings with fanciful imagination, like Overwatch and Battleborn. I’m also seeing another rise of decision-based games, where things revolve completely around how you play and the world changing because of it, from big titles like Hitman and Deus Ex: Mankind Divided to smaller indie titles like Firewatch. Carly Smith: I think we’re going to be seeing a lot of women as protagonists in 2016! Or at least this is my hope. Like Cathryn, I see a lot of sci-fi and fantasy games coming, as well as a mix of the two. Horizon: Zero Dawn takes place far in the future with robots, but it feels very much like a fantasy game. But mostly I see games getting bigger and bigger (which is not necessarily good). There’s a lot of ground to cover in many of the games of 2016. What are your personal gaming goals for the next year? Paige Sammartino: 2015 wasn’t a big gaming year for me. There weren’t many new titles that I was excited about, but I’m already pretty hyped over the 2016 lineup, so I’m hoping I’ll be able to participate more with games that are hip and happening. Cathryn Sinjin-Starr: Get a new graphics card so I can push this baby to the max! If I have the choice, I play on PC, but my poor rig is in need of an update. It did good for four years without any upgrades! In terms of games themselves, I want to try a lot more new things, maybe true a few things I normally wouldn’t? Carly Smith: I’ve made it a personal goal to seek out more smaller, independent games that don’t get talked about enough. I think I did a pretty good job this year of branching out, and I discovered lots of interesting, short games that way! What’s something you’d love to see in games next year? Paige Sammartino: Fingers crossed for more games with colorful, cartoonish graphics and levels versus one ongoing narrative. Bring on the old-school fun. Cathryn Sinjin-Starr: I just want fun gameplay and compelling narratives with interesting characters. I’m not hard to please, really. Carly Smith: More female protagonists, more women of color, mothers as heroes (but not tied to their motherhood, please), and more protagonists who are older! Especially women. I really can’t think of a game where a woman as the main character was over 40 years old. I would also like to see more empathy within games culture and the games industry.